The ZipGrow Towers is only one of our green initiatives. The “2018 Sustainable Campus Index” highlighted Missouri State University’s sustainability efforts. The Association for the Advancement of Sustainability in Higher Education (AASHE) tracks universities’ sustainability. This is through self-reporting to the Sustainability Tracking, Assessment and Rating System (STARS). The “Sustainable Campus Index” showcases high impact initiatives from STARS. “It is important for institutions and communities to make a stand and leave this world a better place for future generations,” said Dr. Tammy Janke, co-chair of the sustainability advisory committee. The report featured the ZipGrow Towers program. 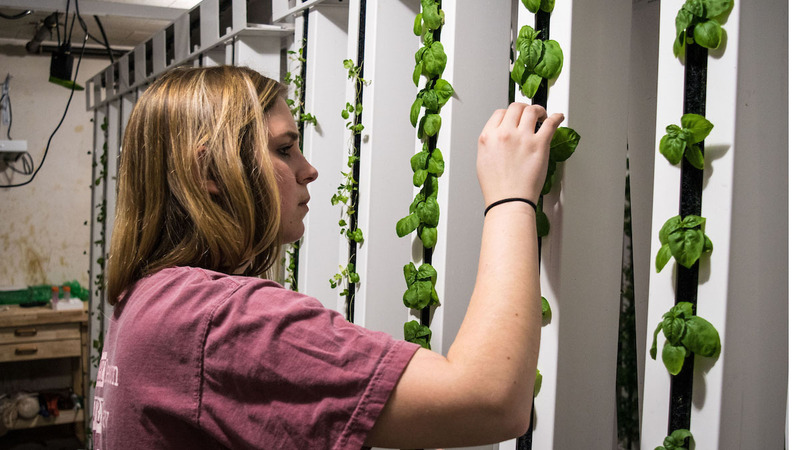 This program grows food vertically in a small room on campus. It cuts down on costs and materials. Student interns learn how to care for the produce. Missouri State was also recognized for being a part of the STARS Review Pilot. This allows colleges and universities to review their sustainability measures and make changes to their STARS submission. This results in more accurate data quality. Missouri State received high scores from STARS for offering more sustainability courses. STARS also recognized the university’s living laboratory initiative. These are student-led initiatives to create change on campus. One example was changing the parking lights to eco-friendly LEDs. Missouri State has a silver rating from STARS.